Version 5.1 can not delete folder. 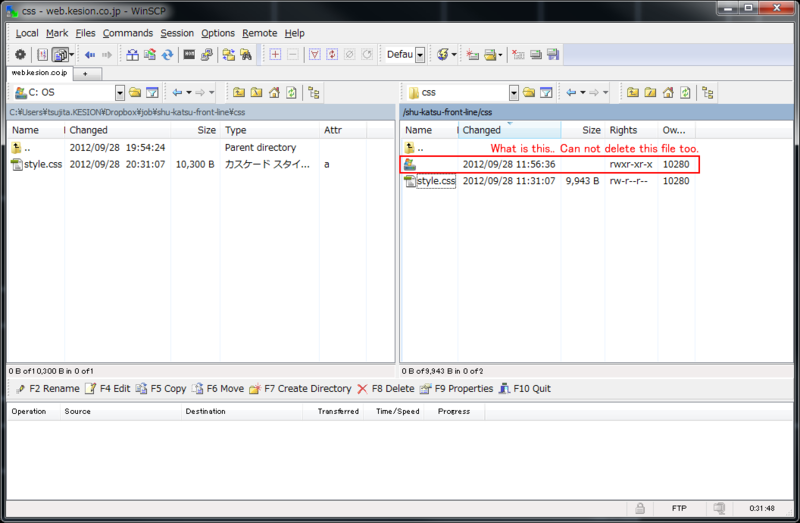 WinSCP version 5.1 can not delete folder, ftp site. in this case, I can see unknown folder icon :? : include folder. Re: Version 5.1 can not delete folder. error message does not appear. Removal process much I will never quit. Can not delete folder with 5.1. No error message. Sorry, I've forgot to mention that I need to you set logging level to Debug 1. Is it a file without a name as in kazoo0217's screenshot? If not, please start a new thread and attach a full log file.